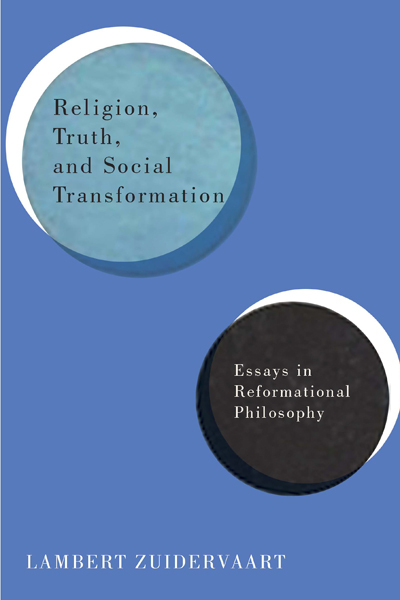 I am honored that Lambert Zuidervaart has invited me to respond to a chapter of his book, Religion, Truth, and Social Transformation, for this symposium. I am also grateful for the opportunity to reflect on his work and share it with those reading this symposium. In the spirit of this symposium, my summary and reflections are simple, straight-forward, and fairly informal. The issue in chapter 9, “Metacritique: Adorno, Vollenhoven, and the Problem-Historical Method,” is how philosophy and history might be combined in a way that is both genuinely historical and genuinely philosophical. As I am not at all familiar with reformational philosophy (but am familiar with Theodor Adorno), please forgive me for any misinterpretations or misunderstanding in the following. Being unacquainted with reformational thought, this problem as presented by Zuidervaart is quite foreign to me. In fact, even as a philosophical issue outside of reformational philosophy, such as in Adorno’s thought, it is not something I have given any attention to. Therefore, I am grateful for this chapter making me aware of a philosophical problem that deserves attention. Zuidervaart’s analysis of this problem is especially useful for me as a philosopher who works in Catholic thought. This chapter has prompted me to new reflections on some of the works that have had a significant influence on me such as Thomas Aquinas’ commentaries on the works of Aristotle and the nine-volume A History of Philosophy by Frederick Copleston, SJ. The following will briefly summarize the chapter, highlighting some of the salient points, and end with a couple questions/reflections. Zuidervaart’s analysis of this problem is especially useful for me as a philosopher who works in Catholic thought. In Section 1 of chapter 9, Zuidervaart explains that many attempts at combining philosophy and history, such as commentaries and intellectual histories, tend to end up as deficient as “philosophical” works. That is, for Zuidervaart, they are inadequate to the task of drawing “philosophical attention” to a philosopher’s contributions (Zuidervaart cites the work of Adorno, but I assume he thinks this is true of all philosophers) because these approaches are not “fully philosophical” as they often are incomplete in their treatment of a thinker’s work and tend to relativize the claims of a philosopher, particularly the most controversial ones (184). How then is philosophical historiography to avoid these problems and produce a truly philosophical history? Zuidervaart answers that philosophical historiography must “develop and present philosophical positions on the philosophical writings and issues they examine” (184). This must necessarily be coupled with an understanding of what philosophy’s tasks truly are. For Zuidervaart, the adoption of the method of metacritique in the writing of philosophical history ensures its adherence to reflection on the legitimate tasks of philosophy and is a “crucial link between history as history and philosophy as philosophy” (185). The following sections of the chapter describe metacritique and provide support for its necessity for philosophical historiography. Section 2 elucidates what metacritique is, comparing and contrasting it to a concept like “metacriticism.” Whereas metacriticism analyzes the concepts employed in a particular non-philosophical discourse (like art criticism), metacritique goes a step further to what Zuidervaart calls a “third-order discourse” where we undertake a philosophical investigation of the philosophical discourse we employ to analyze first-order discourse (186). The rest of Section 2 and into Section 3 takes up a criticism of the “problem-historical” method of Dirk Vollenhoven. For Zuidervaart, Vollenhoven’s “problem-historical” method is philosophical in emphasizing logical, internal problems in the history of philosophy, but neglects the historical—the social, economic, and political context. Moreover, Vollenhoven does not recognize the need for “tertiary concepts” to properly engage the second order discourse that Zuidervaart maintains systematic philosophy is (190). Conversely, Zuidervaart contends that metacritique is necessary for third order discourse that is both historical and philosophical as it includes the historical and the systematic (to where the distinction often disappears) and scrutinizes the criteria of philosophical concepts and their legitimacy. This work involves both an historiographic account of and the development of our own positions on these concepts. For Zuidervaart, Vollenhoven’s “problem-historical” method is philosophical in emphasizing logical, internal problems in the history of philosophy, but neglects the historical—the social, economic, and political context. Ultimately then as explicated in Sections 4 and 5, for Zuidervaart, the historian of philosophy ought not simply trace a philosophy’s or a concept’s features over time, but also subject them to metacritique that judges the philosophy and/or concept “more or less correct, more or less fruitful, and more or less significant,” that is, the “historian should become a creative participant” (194). Genuine philosophical historiography then must actually participate in the history of the philosophy and concepts studied so that the problems and solutions located through immanent criticism are “initiated, continued, changed, or terminated” (199). In this way, metacritique simultaneously highlights immanent criticism’s dependence on its object and the transcending of both. This means that metacritique is indispensable for philosophical historiography. This raises one important question for Zuidervaart: how is philosophical history related to other histories? Zuidervaart turns to Adorno to help answer this question. Zuidervaart reports that Adorno claims that within the history of philosophy something of the movement of history as a whole appears. Now much could be said about this claim and Zuidervaart stresses three points that helps us understand the relation between philosophical history and other histories. First, this claim indicates that philosophical history has its own integrity. Second, it dissolves the separation between philosophical history and other histories as it requires one to comprehend, through critique, the historical movement philosophical history unfolds within. Nevertheless, as Adorno’s claim makes clear, the whole movement of history cannot be comprehended through metacritique; whatever we do understand remains partial as the practice of historiography and the movement of history have not “reached fulfillment” (203). So then, for Zuidervaart, metacritique is the “conscious attempt” to ensure that philosophical historiography engages both philosophy and history that is honest about its scope and that maintains its integrity. So then, for Zuidervaart, metacritique is the “conscious attempt” to ensure that philosophical historiography engages both philosophy and history that is honest about its scope and that maintains its integrity. Let me offer the following questions and reflections based on some of the issues this chapter addresses. I imagine none of these are original and that Professor Zuidervaart has encountered them before. 1. Does Zuidervaart’s claim that the history of philosophy must be both philosophical and historical so that the historian is a creative participant preclude histories of philosophy that do not write the history of philosophy in this way? That is, are these types of histories (I am thinking of Copleston’s A History of Philosophy, for example, which is widely held to be one of the most objective) to be viewed as inferior, inadequate, illegitimate, or some combination of these? Zuidervaart mentions that the type of historiography of philosophy he is arguing for is what is called for given what he states is “philosophy’s contemporary calling” (185). Please forgive my ignorance, but I do not know what Zuidervaart’s idea of this calling is and it is not stated in the chapter. For me, as one who is influenced by Adorno and affirmative of much of his thought, engaging the history of philosophy through metacritique is certainly a worthy and fruitful enterprise. However, there are other reasons to study the history of philosophy. Perhaps they are inconsistent with what Zuidervaart believes is philosophy’s contemporary task. I have in mind the study of the history of philosophy for the transmission of a tradition to subsequent generations. Maybe Zuidervaart would call this a “history of ideas,” as he mentions in the chapter (184). However, it appears to me that some histories of philosophy are not merely a history of ideas, but engage in immanent critique and exposition for the benefit of those the tradition is handed on to and are not, or at least attempt not to be, creative participants in that history. Perhaps because I see myself primarily as a teacher of philosophy, I am drawn to the study of the history of philosophy in this way. As an issue in scholarship, Zuidervaart is correct to claim that historiography of philosophy should be thoroughly philosophical and “initiate, continue, change, or terminate” philosophical problems (199). But, we also need at this time histories that are adequate simply to pass on the philosophical tradition. This task is urgent because most people have little or no knowledge, familiarity, or experience with philosophy and its perennial questions. Even in many colleges and universities today philosophy is not required of students to ever study. So, it is of the utmost importance now to engage also in the study of the history of philosophy that is as objective and thorough as possible to keep alive the most important questions of human life, the perennial questions of philosophy and the ways those questions have been taken up and attempted to be answered through the centuries. But, we also need at this time histories that are adequate simply to pass on the philosophical tradition. This task is urgent because most people have little or no knowledge, familiarity, or experience with philosophy and its perennial questions. The only philosophy which can be responsibly practiced in the face of despair is the attempt to contemplate all things as they would present themselves from the standpoint of redemption. Knowledge has no light but that shed on the world by redemption: all else is reconstruction, mere technique. Perspectives must be fashioned that displace and estrange the world, reveal it to be, with its rifts and crevices, as indigent and distorted as it will appear one day in the messianic light. To gain such perspectives without velleity or violence, entirely from felt contact with its objects—this alone is the task of thought. it presupposes a standpoint removed, even though by a hair’s breadth, from the scope of existence, whereas we well know that any possible knowledge must not only be first wrested from what is, if it shall hold good, but is also marked, for this very reason, by the same distortion and indigence which it seeks to escape. Adorno believes that we must somehow be removed from existence, from history to engage the history of philosophy, but it is impossible to do so, yet absolutely necessary to compensate for past suffering so that “[e]ven its own impossibility it must at last comprehend for the sake of the possible.” What then are the possibilities of genuine philosophical historiography and indeed other types of histories of philosophy if we are to accept Adorno’s claim? Theodor Adorno, Minima Moralia, trans. E.F.N. Jephcott, (London: Verso, 1974), 247. Ben Hampshire currently teaches philosophy at Ohio University-Lancaster. His interests include Ethics, Critical Theory, and Catholic Philosophy. I agree with you Ben that Lambert's contrast between the historian's history of philosophy or history of ideas and a philosophical history of philosophy is too stark. I would view the starkness however as heuristic, a deliberate hyperbole take on for pedagogical purposes. Indeed, the presentation of philosophy to undergraduates whether in the context of liberal arts core or in the context of undergraduate programs of philosophy is a vocation in philosophy that Lambert knows very well and has had over twenty years experience of. I can well imagine that he would see such an endeavour as outside of the pedagogical contrast he was trying to draw. So, Copelston is safe for the moment. What I take Lambert to be interested in is a philosophically generative history of philosophy, a history in which the philosopher is active in and through historical investigation in working out and developing philosophical understanding of the God, self, and world, even if the name for God is something else: Spirit, history, entropy, you name it. One has no choice on Vollenhoven's sense of things but to philosophize in the context of philosophy's history as it has a major formative role that determines in large measure if not in totality the discursive and conceptual tools one has to work with. Indeed, Vollenhoven himself is deeply sensitive to the historical agency of logical determinations and the conceptual forcefields they enable. This logical dynamism attracts and repels, it converts or sends one off as far away (conceptually speaking) as possible. In addition, it helps philosophers see that whole clusters of warring philosophers and their framing conceptions are in fact united, not by intellectual agreement but by shared philosophical problematics. All of this Lambert knows and uses in his own golden retrieving way. But he also knows something else. Intrinsic to philosophical conceptualization are other moments of meaning that leave structural traces. He gathers these together under the rubric of history. Political, economic, class, gender, cultural dynamics of varying kind--conceptualizations, particularly of the framing kind encorporate so much more than the logical-conceptual dynamism that is nearly always foregrounded in philosophical thought and writing. Now any reading of philosophy that moves through these varying considerations to address the world made present via those varying considerations (even if under the rubric of history) is, in my book, a philosophical reading of philosophy and its history. An historical reading by contrast is one in which a signal hermeneutical circle is at play. The historian reads a given work of philosophy as an expression of the culture and society of the philosopher's time and place. What is presupposed in such reading is a sense of what that culture and society mean. The reading of the philosophy in question is then at the same time an exploration of the philosopher with respect to her age AND historical reconstruction of the age and its social and cultural meaning with respect to her philosophy. Thank you Bob for your comments. This clears up many of the questions I had and gives me more to reflect on.